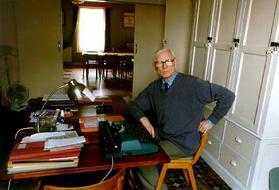 Boleslaw Dobski, at present the Polish Ex-Combatants chairman at his office in University Road, 1998. 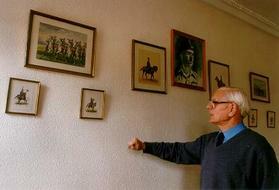 Boleslaw Dobski in the library of the club, showing pictures of historical cavalery of Poland. In the centre is General Anders, a cavalry man in 1939. 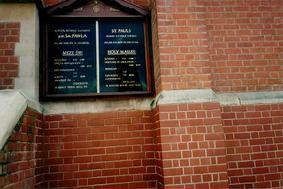 Holy Cross Church where the Polish Community worshiped before purchasing their own church in Melbourne Road. The Holy Cross Centre was used by the Polish Ex-Combatants and their families as a social centre and library. 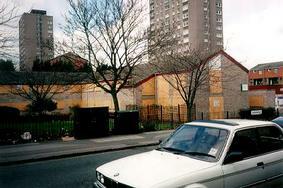 Spinney Lodge, photographed in 1998, has been completely rebuilt. 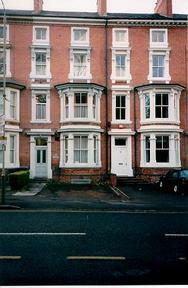 In the fifties nearly every other house was occupied by a Polish family. 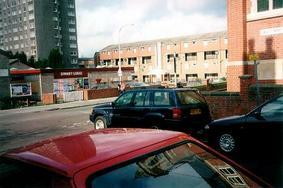 Another picture of the Spinney Lodge area of Highfields as it is in 1998, has been completly rebuilt. In the fifties nearly every other house was occupied by a Polish family. 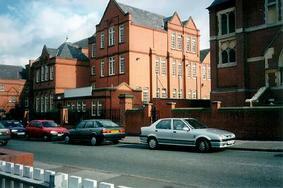 The building which used to be Moat Boys School where Poles started the Polish Saturday School. 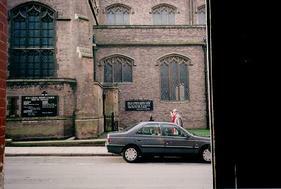 At the front of the Polish church in Melbourne Road, Leicester. 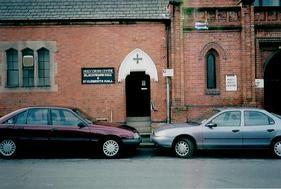 This building in Highfield Road, originally housed the Polish Club. Today it is the location for an Irish Club. 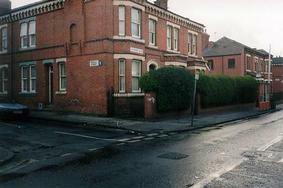 The corner house on St Peters Road is where I moved to live in 1959. 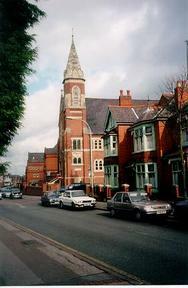 The Polish Church in Melbourne Road. 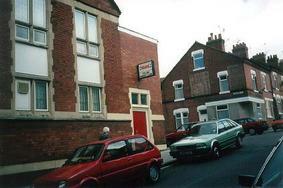 No.11 University Road, has housed the Polish Ex-Combatants Association and social club since 1956.